WP Premium is a simple and free WordPress blog theme ideal to create a basic yet fully featured WordPress blogging website. Whether you want to create a personal blog website or a business blog, use this theme without second thoughts. 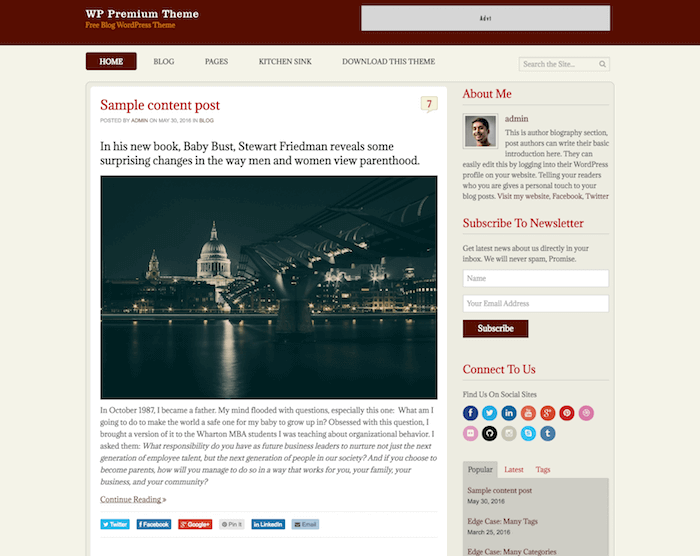 WP Premium is one of the most plain and serious blogging themes you will ever find. 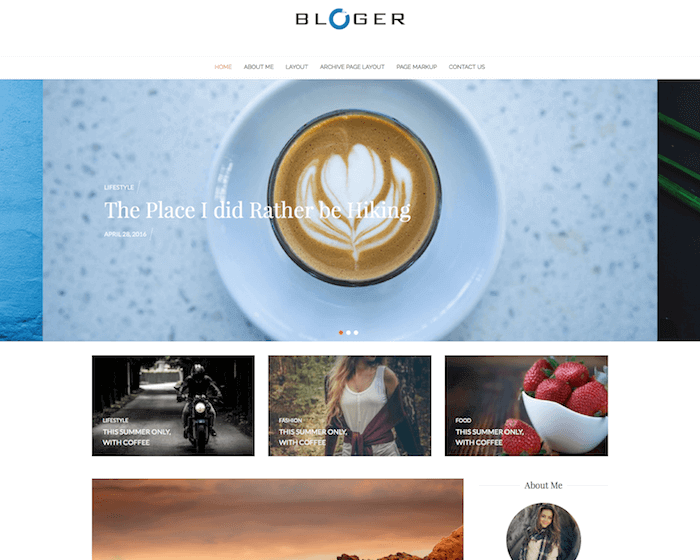 So, if you are looking for a stylish or designer blog theme, this may not be the right choice for you. Although WP Premium offers a lot of design and customization options through its inbuilt customizer. You can make many design changes, such as color, fonts, layout options, widgets, etc. It is a perfect theme for any normal but professional blogging website. WP Premium is a fully responsive theme that means your blog content, text, images, layouts, and everything will look exactly the same no matter the device or screen size. 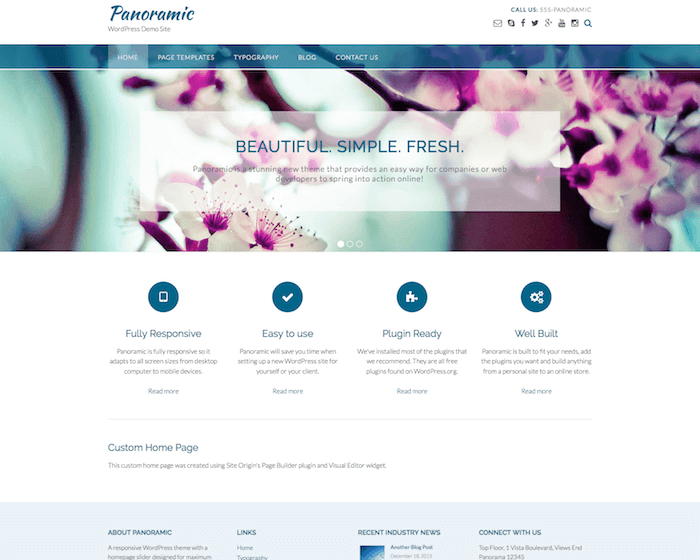 This theme can be used to create a decent business or personal blog that will look great on every device and browser. Various elements of this theme have been designed to automatically re-adjust according to the screen size, meaning your blog images, videos, sidebar widgets, menu, logo, gallery, etc. will appear properly everywhere. WP Premium is designed to load fast so that your website or blog never goes down due to slow loading and opens quickly every time. One thing you can be sure of is that the speed of your WordPress blog will always be better than most other blogs out there. You can check in any tool to ensure the same. WP Premium features a clean and minimalist design that will never get in the way of your website’s performance or speed. The WP Premium theme comes integrated with the WordPress Customizer that can be used to make certain changes in the design and various other sections of the website. The customizer option is available in the appearance settings. It allows you to see real-time preview as you make changes. You can completely alter the appearance of your website by changing various setting options, such as colors, font size, logo, background image, Google fonts, etc.